When heart surgeon Dr Ramakanta Panda was training in medical school in Cuttack, Odisha, to become a doctor, heart illness was rare. It was considered a Western disease that Indians did not have to worry about. Now in his practice at the Asian Heart Institute, where he is vice chairman and managing director, he sees umpteen serious heart cases a day. Four or five of them, every week, are youths in the age bracket of 20 to 25. He attributes the steep rise in the incidence of heart disease in India to an India that has lost the ability to eat healthily. And to an unfit India that hardly exercises. "A heart healthy lifestyle has a very significant role to play in preventing and controlling heart disease. Very important," Dr Panda tells Rediff.com's Vaihayasi Pande Daniel in the second of a three-part interview. As long as it is in small quantities, they are not harmful, because each of the oils has some positive, some beneficial effect. So one should not ban ghee or coconut oil? So ghee like 2 teaspoonfuls, 10 ml is good. Ghee, especially if it is made at home, because most of the commercial ghee, they hydrogenate it, for longer shelf life. They are bad. So if you are making ghee at home, ghee has certain fatty acids which are good for the body. So again any small quantity is okay. Overall, quantity of oil should not be more than 30 ml per day. I think that is the equivalent of 6 teaspoonfuls. Out of that, 2 teaspoonfuls can be ghee. 4 teaspoonfuls can be any form of oil. As long as you take small quantities, it is not a problem. Large quantities are bad. Second thing, try to mix two oils, so you get the best of both, as long as it is small quantities. Like two teaspoonfuls of coconut oil. Mustard oil is one of the best oils. So no type of oil is bad? No, no, it is just extreme. People just go to this extreme. That extreme. There is nothing. Eggs also the same thing? Eggs same thing. Egg has almost 180 to 200 mg cholesterol. Again, a person who has multiple risk factors should avoid having the yolk. A person who has no risk factor can have one egg yolk a day. Recently, they found in a study, taking one extra egg a day will increase the incidence of heart disease by 1.1 per cent. So only egg white you can have, absolutely no problem. Egg yolk, probably one should restrict it to two eggs a week or something, because it has certain nutritional value. So if you ask my advice an egg white every day or as much as you want. Egg yolks should not be more than two eggs a week especially if you have some form of risk factor. What about all this new information about how high cholesterol is not so bad? These are all gimmicks. These are all your commercial interests behind all these advertisements. A lot of articles coming out on the same thing. A lot of articles coming out with negative things about statins. These are all driven by certain vested interests. In your view, what is missing in the patient's understanding of the disease in India? The most important thing is understanding how the heart disease happens and what steps people should take to prevent it. We cannot afford treating heart diseases alone. 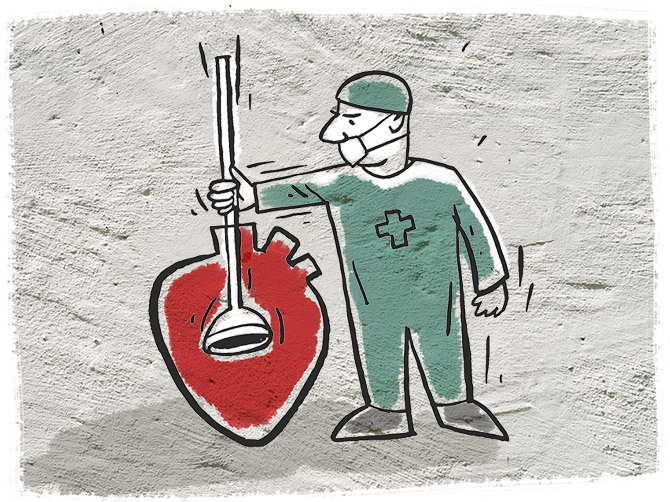 If you look at US cardiology, they spend 200 billion dollars a year on heart care alone. You require about 300 billion dollars just for hospital care. If you convert that to the Indian population, we will need 3 to 4 trillion dollars only in heart care treatment. It is not possible. The only way possible is healthy heart management. You try to lead a healthy lifestyle so you don't get into this problem. You already touched on the topic of genetic liabilities. Is it sort of like a death sentence if you come into life with a 50 per cent risk because you have lost a parent to heart disease at an early age. Or is it a little more complicated than that? Even if I have a strong family history of multiple risk factors, if you lead a very healthy heart life, chances of getting heart disease are still less. And even if you get heart disease, you will get it at a later age. You will not get it at the age of 30 or 40. You can get it at 70 or 75. So it is not as bad? 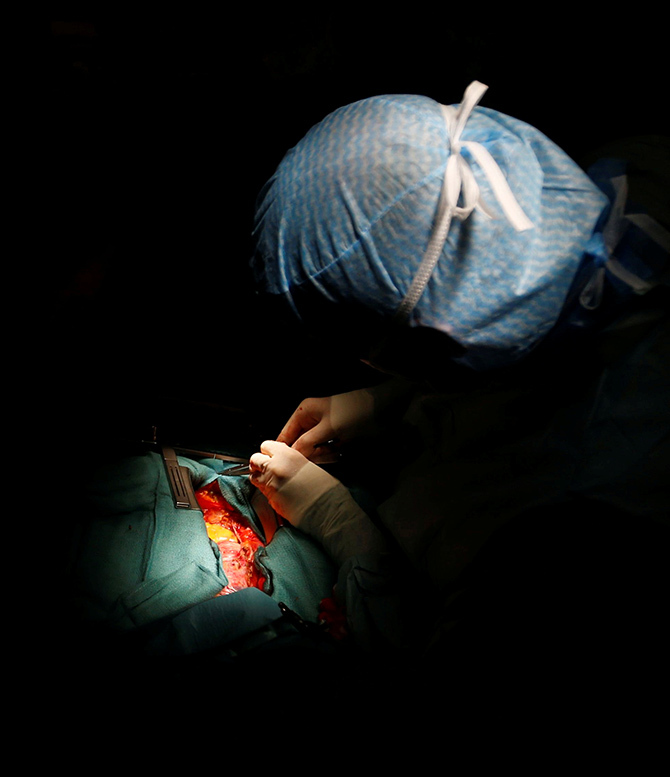 I have got patients who have strong family history and had heart disease at the age 35 or 36 and they have completely changed their lifestyle and for 20, 25 years they have not needed angioplasty or surgery and the blockage is exactly same for 20, 25 years. I very, very strongly -- that's why I use the word very twice -- believe that a heart healthy lifestyle has a very significant role to play in preventing and controlling heart disease. Very important. I think that is the most important message you can give. And to prevent, the best and the most important treatment for heart disease is a very active physical lifestyle -- exercise. And what can you say more strongly about tobacco? I say it very, very, very, very strongly. Even one cigarette a week is bad? Yes, even looking at cigarettes I tell you (laughs) is bad. Tobacco in any form is dangerous to the health. Not just heart disease. Stroke. Cancer. So less cigarettes doesn't make the risk any different? Not only that, everybody knows about passive smoking. Your colleagues smoking next door is equally bad for you. 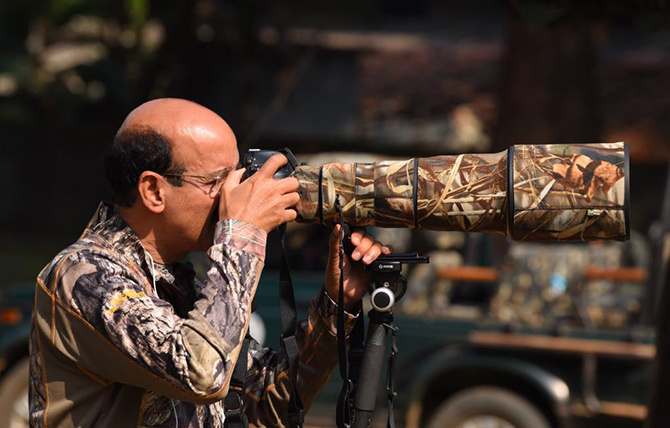 IMAGE: Dr Ramakanta aims to be as good at wielding a camera with a telescopic lens as a scalpel. Photograph: Kind courtesy Dr Ramakanta Panda. What about external factors? From smoke in the air etc? That is because of carbon monoxide and other things. That makes the arteries a little thick.